Napleton's Valley Hyundai is a Hyundai dealer located near Naperville, IL. Visit our Hyundai dealership for new and used vehicles, service and repairs, car loans, car parts, and more! Our Hyundai dealership has a large inventory of new Hyundai vehicles. Browse our selection of Hyundai cars, like the Hyundai Accent, Hyundai Elantra, Hyundai Sonata, and Hyundai Veloster. We also have Hyundai SUVs and crossovers, such as the Hyundai Kona, Hyundai Santa Fe, and Hyundai Tucson. We want to help you find the best Hyundai for your lifestyle. While we are a Hyundai dealer, we do sell used vehicles from all of your favorite brands. 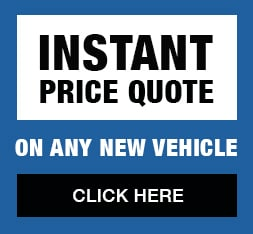 Our used vehicle inventory consists of used cars, SUVs, trucks, and vans. Sort our inventory by year, price, mileage, features, and more. We also have a handful of certified pre-owned Hyundai vehicles, which means that they have passed rigorous inspections by certified technicians. Bring in your vehicle for an oil change, tire rotation, or other maintenance and repairs. Our technicians can service any make or model. You can conveniently schedule your service appointment online.